When you’re in a pinch for a quick translation, it is quite easy to find a freelancer on various sites at a cheap price. Freelancers are a great resource to have on hand when you need to get work done, but they shouldn’t be your first choice. Use a professional translation company instead of freelancers to ensure a quality translation every time. While we don’t want to imply that freelancers aren’t a good choice, it really depends on the job and the freelancer itself. On top of that, there are additional benefits you could get from a company for about the same price. A freelancer is typically someone who is trying to get their feet wet in an industry that interests them. They may be retired and needing something to fill their time, or they may be college students trying to gain experience in a field of their choice. They could also be professional translators who decided to go the freelance route. It really depends on a case-by-case basis and there is no way to tell unless you ask them and they answer honestly. No matter the reasoning for becoming a freelancer, there is little to be said about the kind of experience you will find in a freelancer versus a professional translation company. Cares about producing perfect translations that are culturally-appropriate, every single time. Trains their native-speaking translators extensively, and still only choose the best to work on document translation. 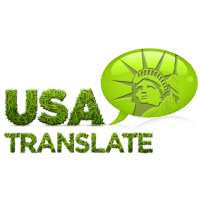 Will work with you to stay within a translation budget that you set. Will connect you with the relationships they have built within your target audience. Will always give you quality content in a timely manner. Can a freelancer guarantee the same? Maybe. Can a professional translation company? Absolutely. How long they have done translations for? What languages they are fluent in? What credentials they may possess? What is the field of their expertise? If they are available 24 hours a day? If they answer ‘no’ to any of these questions, it is time to get in touch with a professional translation company. Another reason why you should get a translation company for the job is the fact that their service will provide additional proofreading by a separate linguist. You may want to ask about this up-front, as some wouldn’t. We do though. Another question to ask is if they only use human translators or a combination of machine translation and human linguists. We never use automated translations. There are other questions to ask as well, but the above are the most important ones you should always ask a new translation provider. Don’t dial down on quality products your company deserves. Contact our 24-hour Customer Representatives about our services.